Machinarium is a top game please PLEASE make Machinarium 2!! I dont love games, play only FIFA. So machinarium was my FIRST quest. RLY i never play quest. Friend say go download this game, and i for fun download Machinarium 2 from torrent.... i bad speak english but can't describe the feeling after completing the game. Music, the atmosphere, the main characters its all 100% SUPER! And i want say, that i 100% BUY this game after torrent download. I want to pay the developers for this brilliant game. Sorry, bad eng, because rus) I have so many ideas to continue this game! ehhhh, thx for machinarium. 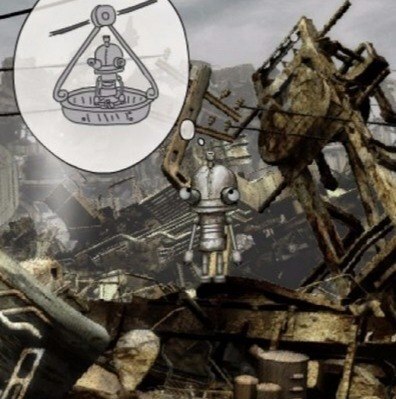 I think that machinarium 2 can make in Crysis moment for company, because this project make money. ))) And i understand why Amantia Design not make now Machinarium 2. I would love to BUY a new game with the little robot guy as the star using the same adventure, puzzle solving type of concept. I was actually a bit upset by the post script of the first game - silly to have feelings for a robot but he has a real little character. What is his name? Maybe he needs to find out why the bad guys are so bad and show them that bullying isn't right. Joseph;) is the name by the way a very good restaurant in Zurich has the same name. Maybe a good sign? I still have hope, and maybe I would cry if I really see this is another adventure with joseph planned. I just wanted to say that I love Machinarium!!! I am replaying it. I love the music, the visual environment created, the characters, the game progression, the puzzles and the in-game walkthrough you get to have if you make it through the maze. I hope there will be a machinarium 2 for PC and tablet. I found this profile on instagram. This fan-made game developed by enthusiasts, it seems, guys from Iran. I know there will be a M2 in the future! And an awesome vinyl for the awesome soundtrack! Plus an awesome collectors edition boxed copy! A beautiful story line, great OST and wonderful environment!Peaceful cloudy weather, dusty old details, mysterious plants and a two-part story (one outside the city and one inside the city) makes this game unforgettable! I wish you could "like" posts.